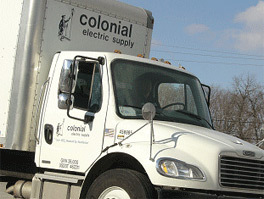 We are proud of our reputation as the region’s most service-oriented electrical distributor. Colonial works around the clock to make your life easier. When emergencies happen in the middle of the night, count on us for the products you need. Our Customer Service Center in King of Prussia, Pa., is open 24 hours a day for Will Call Pick Ups. Just phone in your order and we’ll have it ready to go when you arrive. FOR 24-HOUR EMERGENCY SERVICE PLEASE CALL 610-312-8100 or 877-312-8100.